For some families coping with alcoholism, drug addiction, and mental illness, programs that rely strictly on science do not provide enough support and guidance. Many of these families find that faith-based programs offer the spiritual guidance and support network they need to move toward healing and wellbeing as a family unit. In fact, many researchers and doctors find that treating the mind, body, and spirit helps alcoholics, addicts, and mental illness patients recover more effectively because they consider the whole person rather than one issue. 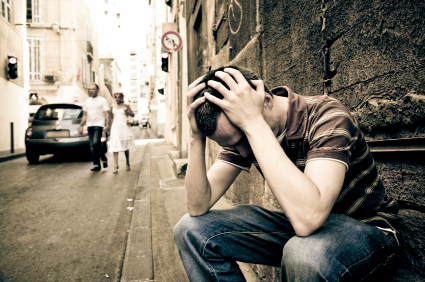 In many cases, people who abuse drugs and alcohol have underlying psychological issues and mental illnesses. By abusing substances, these individuals exacerbate their mental troubles and start down a slippery slope of addiction, depression, anxiety, guilt, and hopelessness. Unfortunately, these people often struggle with suicidal thoughts or attempt suicide. Dual diagnosis addiction treatment recognizes that many alcoholics and addicts have an underlying mental illness and treats the physical aspect of addiction in addition to the mental issues relating to it. Treatment programs that simply treat addiction do not work for the long term because the underlying mental issues are not addressed and recur, leading to the cycle of substance abuse relapses. Dual diagnosis addiction treatment programs, on the other hand, include detoxification and rehabilitation. Rehabilitation involves addressing the underlying mental illness and issues and helps people find healthy coping strategies so they do not turn to drugs or alcohol when their problems and symptoms flare. Top dual diagnosis addiction treatment programs also include aftercare to help individuals continue to work on their sobriety and mental issues. Holistic programs that go one step further to include faith and spirituality are even more successful because they treat the mind, body, and soul. These programs offer support that is rooted in spiritual principles such as forgiveness and unconditional love, and they help alcoholics, addicts, and their families come together to work toward sobriety through prayer. Support groups are another component of holistic treatment programs that help all members of the family explore their feelings and fears and address them in a faith-based way that gives them the strength to recover and heal while feeling safe, protected, and loved. Faith-based treatment programs are nothing new, though they have been becoming more popular as evidence shows they are successful in treating drug addiction, alcohol addiction, abuse, and anger issues. Faith-based programs that incorporate traditional approaches to addiction and rehab in addition to spiritual elements and biblical principles appeal to many families that want to lead healthy, clean lives. Some of these programs feature Christian counselors and chaplains to work with patients, and some independent churches and religious organizations offer faith-based programs to help alcoholics, addicts, and their families. The power of faith-based programs lies in helping family members form closer relationships with a higher power. These relationships offer comfort and healing in addition to peace of mind and body. Individuals who participate in faith-based treatment programs or family support groups find strength in scripture, prayer, and meditation; they also find strength in fellowship with other families struggling with the same issues. In fact, studies have found that people with high levels of spirituality and faith are more optimistic, have stronger support systems, and better handle stress and anxiety than those who do not have a religious background or strong spirituality. Of course, faith-based treatment programs may not be for everyone who struggles with alcohol and drug abuse. Individualized treatment is best, and faith-based treatment programs may not be helpful for people who do not believe in a higher power or who do not come from a strong religious background. However, some people who did not have a previous relationship with God find that faith-based programs offer the guidance, support, and hope they have been searching for. These people turn to faith and prayer and turn away from drugs and alcohol because they gain a renewed sense of purpose as part of the spiritual elements in their recovery programs. All in all, people need to decide which treatment programs are best suited to their needs and their families. Dual diagnosis and holistic treatment programs that incorporate faith and spirituality have been proven to help individuals and their families overcome alcoholism, drug addiction, and mental illness. The strength, support, and hope offered by faith-based programs often help families come together to heal and move forward. Adam Cook's mission is to provide people struggling with substance abuse with resources to help them recover.